Spanish supercar with a Dodge engine. Weird, but we're fine with it. Boutique supercars are strange things, often being tweaked here and there as their makers deem it necessary, rather than having real generations to speak of. Such is the case with the GTA Spano, which first debuted in 2008 and has been altered several times since then. The latest round of changes just debuted in Geneva, and if we're going to say the car has a second generation, this is probably it. The body is still recognizable as a Spano, but it has been extensively reworked. 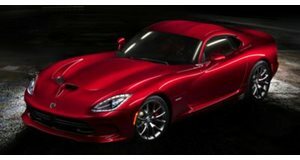 The engine, which is an 8.0-liter V10 from a Dodge Viper, was supercharged on previous models, but now sports twin turbochargers. The result is 925 horsepower and 900 lb-ft of torque. This power is sent through a seven-speed sequential gearbox and allows for a blistering 0-62 mph time of 2.9 seconds. But probably the biggest news is that the car has a new carbon-fiber monocoque chassis, and that the new bodywork makes extensive use of carbon fiber as well. So although we don't have any numbers on these things, it's a good bet that they have been greatly improved upon.